The NRC has been very forward-thinking in developing cyber security requirements for nuclear power plants. The cyber threat is always evolving, and so is our approach. We first imposed cyber security requirements in Orders issued after the 9/11 terrorist attacks. Drawing on our experience with those steps, we formalized regulations in 2009. Our “cyber security roadmap” spells out how nuclear plant licensees were implementing our 2009 cyber regulations, as well as our approach to assessing cyber needs of other licensees. Nuclear plants are meeting these requirements in two phases. During Phase 1, they implemented controls to protect their most significant digital assets from the most prevalent cyber attack vectors. This phase was completed in December 2012, and our inspections of Phase 1 actions were completed in 2015. Like other NRC programs, cyber security involves “defense in depth.” Crucial safety- or security-related systems (both digital and analog) are isolated from the Internet, giving them strong protection. Such “air gaps” are important, but not sufficient. Licensees must also address wireless threats, portable media such as discs or thumb drives, and other avenues of attack. Physical security and access controls, including guarding against an insider threat to the plant, also add to cyber security, as do cyber intrusion detection and response capability. The NRC published a new regulation in late 2015 requiring nuclear plant licensees to notify the agency quickly of certain cyber attacks. With these efforts already accomplished or underway, you can see the NRC takes cyber security seriously, and we’re doing our best to stay flexible and ahead of the ever-changing threat. 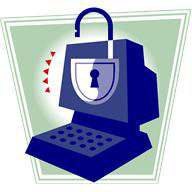 You can find more information about the NRC’s cyber security program on our website. How would you describe your job in three sentences or less? My job is to work with others to protect NRC’s information and information systems. This includes providing security training, performing security assessments, testing the vulnerability of our IT systems to phishing and penetration attacks, responding to security incidents and keeping up with situational awareness to see where we may need to strengthen our defenses. What is the single most important thing you do at work? Communication with NRC managers and employees regarding threats to our IT systems and data. We do security briefings, security awareness events for staff, and daily meetings with the Chief Information Officer. What is the single biggest challenge you face? The dynamic pace of technology changes and the need for cyber defenders to keep up. With the “Internet of Things” becoming more and more a part of our daily lives, the devices we now use in virtually everything we do present security and privacy concerns and introduce a much larger avenue of attack. These devices want to communicate, in some cases sensitive data, through multiple channels with each other and cloud services. The challenge is that these devices do not have adequate security controls built into their design. What would you consider one of your biggest successes on the job? We established a cyber security dashboard that measures the NRC’s improvements in security practices. This is an internal mechanism to let NRC stakeholders see what they are doing well and where improvements are needed. Since implementation, we have seen significant improvement in cybersecurity across the agency. What one thing about the NRC do you wish more people knew? That we have Resident Inspectors at each of the nuclear plants. I think a lot of the public believe we regulate and inspect from a distance. I do not believe many know we have feet on the ground at the nuclear plants. Five Questions With is an occasional series where we pose the same five questions to NRC staff. For more information on National Cyber Security Awareness Month, go here. The email was flagged urgent and screamed in capital letters: YOUR IMMEDIATE ATTENTION REQUIRED! The message said a software update was needed to avoid major system disruption, and to click a link and enter a network password. The NRC employee who received the email thought the message looked suspicious. Instead of clicking on the link, she forwarded the message as an attachment to the NRC’s Computer Security Incident Response Team. Within minutes, a CSIRT member was analyzing the email on a computer unconnected to the NRC network. He quickly determined the message was bogus, a “phishing” attempt to gain unauthorized access to the system. He instructed the employee to delete the message and block the sender to avoid receiving any further attempted intrusions from that Internet address. Had the employee provided her username and password, she could have exposed the NRC’s computer network and its sensitive information to compromise and possible disruption. Personal information about NRC employees would have been at risk, as well as sensitive pre-decisional information about agency policies and licensees. While Safeguards and classified information about the security and status of nuclear plants is maintained on separate higher security systems, the information we process on the NRC corporate network must also be protected. CSIRT, part of the NRC’s Computer Security Office, is a small group of experts, all highly trained in cyber defense. Their mission is to detect and thwart attacks on the NRC’s computer networks and prevent “spills” of sensitive information. Such attacks can come through phishing attempts, such as the fictional incident described above, malware implanted in website advertisements or viruses and malware on portable data devices. The team routinely works with other federal agencies, including the Homeland Security Department’s U.S. Computer Emergency Response Team (US-CERT) to stay up to date on the latest vulnerabilities. They even practice “white hat” hacking to test the NRC’s systems. As a response team, CSIRT investigates suspicious emails that have already passed through the NRC’s extensive SPAM filters and Internet firewall, robust cyber security defenses mounted by the Office of Information Systems. About 10 million emails are directed to NRC.gov addresses each month, and nearly 90 percent of them are blocked by the agency’s network security technologies as spam or for carrying viruses or suspicious attachments, says Mike Lidell, IT Specialist in the OIS Security Operations and Systems Engineering Branch. The OIS team administers the NRC’s firewalls, intrusion detection systems and spam filters. While the percentage of blocked emails seems high, Lidell says it’s pretty much “par for the course” for any large organization or government agency. Emails that get through the initial line of defense are scanned again by the internal servers and a third time by the end-user’s individual computer. Internet data returned from the Web is scanned by NRC servers and individual workstations as well to guard against “drive-by downloads” of malicious software. As Lidell points out, the “defense in depth” is necessary because the attacks are always evolving and changing. Thorne Graham, CSIRT’s team leader, praises a fourth line of defense against email attacks on the agency’s network: The NRC’s 4,000 employees. All NRC employees take annual online computer security training. REFRESH is an occasional series where we republish previous posts. This originally ran in November 2014. October is “Cyber Security Awareness” month. While we typically focus on how to secure our personal information, we’d like to update you on the NRC’s efforts to ensure U.S. commercial nuclear power plants are protected from cyber threats. Nuclear plants are meeting these requirements in two phases. During Phase 1, they implemented controls to protect their most significant digital assets from the most prevalent cyber attack vectors. This phase was completed in December 2012, and our inspections of Phase 1 actions will be done late this year. The NRC will soon publish a new regulation requiring nuclear plant licensees to notify the agency quickly of certain cyber attacks. The email was flagged urgent and screamed in capital letters: YOUR IMMEDIATE ATTENTION REQUIRED! The message said a software update was needed to avoid major system disruption, and to click a link and enter a network password. The NRC employee who received the email thought the message looked suspicious. Instead of clicking on the link, she forwarded the message as an attachment to the NRC’s Computer Security Incident Response Team. Had the employee provided her username and password, she could have exposed the NRC’s computer network and its sensitive information to compromise and possible disruption. Personal information about NRC employees would have been at risk, as well as sensitive pre-decisional information about agency policies and licensees. While Safeguards and classified information about the security and status of nuclear plants is maintained on separate higher security systems, the information we process on the NRC corporate network must also be protected. October is National Cyber Security Awareness Month and – before we head into November – it’s now a good time to remember the importance of cyber security. Cyber crime threatens our work, personal life, identity and privacy. Here at the NRC, we’re committed to protecting our internal digital assets and information, as well as ensuring that our regulated facilities’ critical digital systems of are well protected. This vigilance supports the NRC’s security and safety missions. Set strong passwords and don’t share them with anyone. Keep your operating system, browser, and other critical software optimized and secure by installing updates. Maintain an open dialogue with your family, friends, and community about Internet safety. Limit the amount of personal information you post online, and use privacy settings. Be cautious about what you receive or read online; if it sounds too good to be true, it probably is. The NRC ensures operating power reactor licensees and applicants seeking new licenses implement appropriate protections against cyber threats. Since 2009, the NRC has required each power plant to have a cyber security program in place to protect their computer and communications systems. Over the last two years we have conducted more than 35 cyber security inspections and actively engaged licensees to ensure all identified issues are addressed. In the recently released “Strategic Plan: Fiscal Years 2014-2018,” we highlight the importance of cyber security guidance for nuclear power reactors, fuel cycle and spent fuel storage facilities, non-power reactors, decommissioned nuclear facilities, and materials licensees. The NRC is developing a final rule, 10 CFR part 73.77, “Cyber Security Event Notifications,” which, if approved, will require timely notification of cyber security events. This rule is intended to improve the NRC’s ability to respond to cyber security-related plant events, enable the NRC to more effectively evaluate potential threats, and aid the NRC’s overall situational awareness. In our Cyber Security Directorate, part of the Office of Nuclear Security and Incident Response, we continue to work with federal partners to protect the United States’ critical infrastructure. The NRC joins the Department of Homeland Security in its interagency and public-private efforts under the Sector Specific Agency Nuclear Sector. And we join with other government regulators on the newly-established Cyber Security Forum for Independent and Executive Branch Regulators, led by Chairman Allison Macfarlane. These partnerships strengthen our mutual knowledge base and provide agencies with an opportunity to share methods and approaches to enhance overall cyber security protection. During Cyber Security Awareness Month, federal agencies are holding a variety of events to promote the conversation – among employees and the public – on this important topic. One of the most important things for our employees and our stakeholders to realize is the individual computer user is the first line of defense in cyber security.